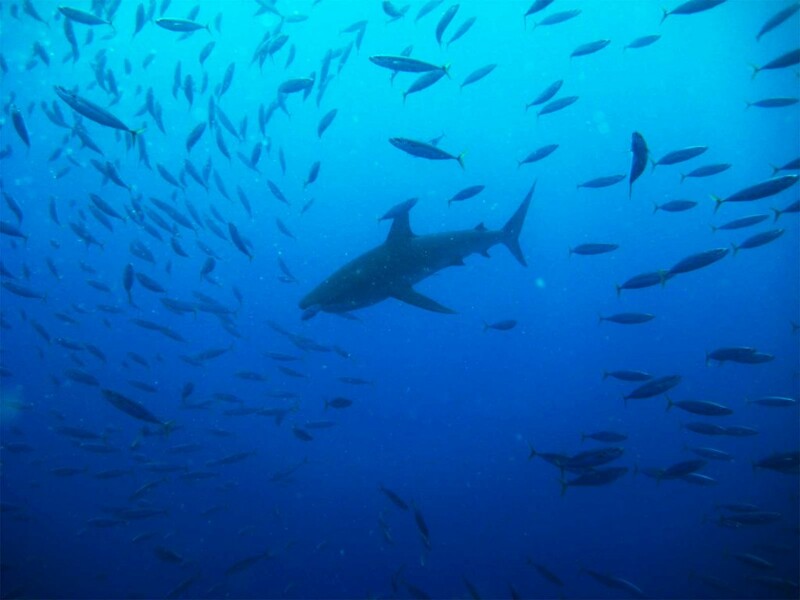 A shark makes its way through a school of fish who break ranks to keep the predator at a relatively safe distance off Oahu. Sharks are common in Hawaiian waters and have a wide variety of prey. Hawaiian oceans tend to be incredibly diverse, owing to their temperate climate and positioning. Instead of a few species that dominate and grow large, Hawaii is filled with an above average diversity of species that tend to stay a bit smaller on average. “Hawaii, Oahu, North Shore. 2008 July 2.” Photographer: LCDR Eric Johnson, NOAA Corps.